The English mastiff is the heaviest dog in the world. An adult mastiff tips the scales at more than 250 pounds (113 kg)as much as a refrigerator! For thousands of years, English mastiffs have lived alongside people. These massive dogs were used to guard castles and help English soldiers in battle. Children will be surprised to learn that despite their huge size and booming bark, mastiffs are calm, friendly, and make devoted family pets. 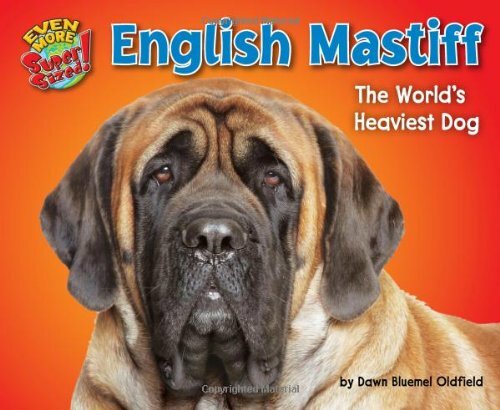 In English Mastiff: The Worlds Heaviest Dog, eye-popping color photos paired with simple, grade-appropriate text will engage children as they learn about the physical characteristics, diet, life cycle, and behavior of this supersized animal. A comparison diagram is also included to show readers the animal in relation to a familiar object.